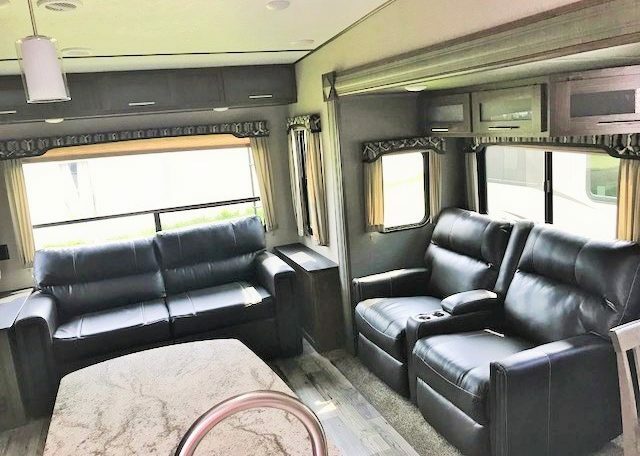 Luxury 5th Wheel, 2 Slides, Island Kitchen, Stadium Seating and So Much More! 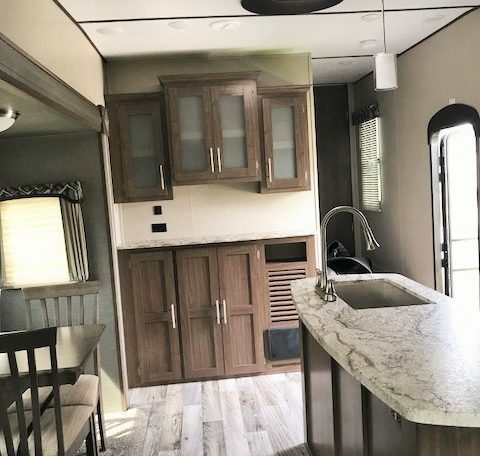 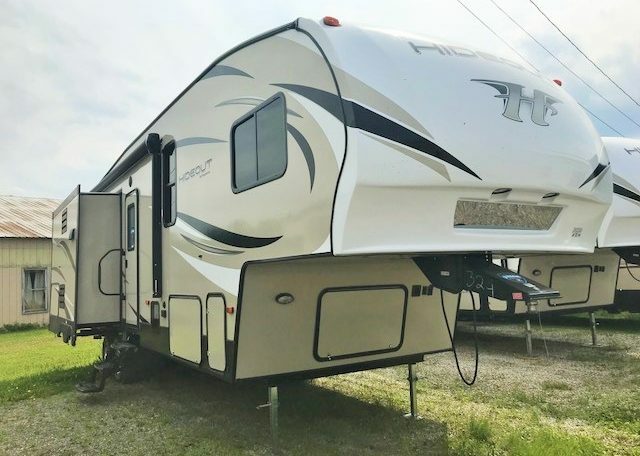 Beautiful 2019 Keystone Hideout 299RLDS 5tth Wheel. 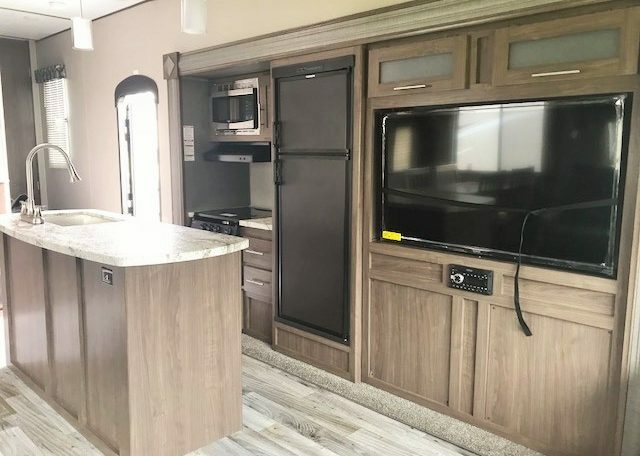 This unit is a true dream. 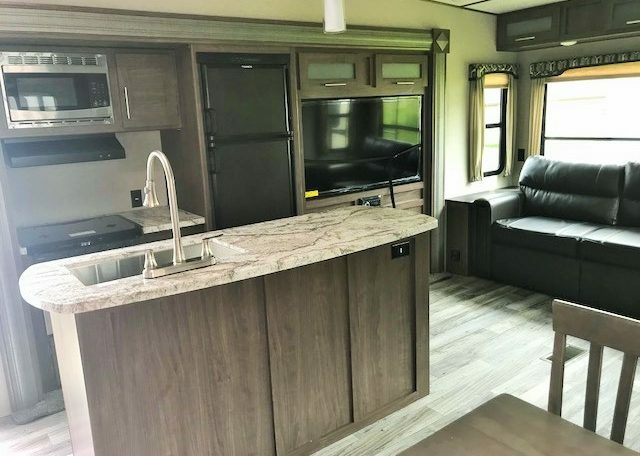 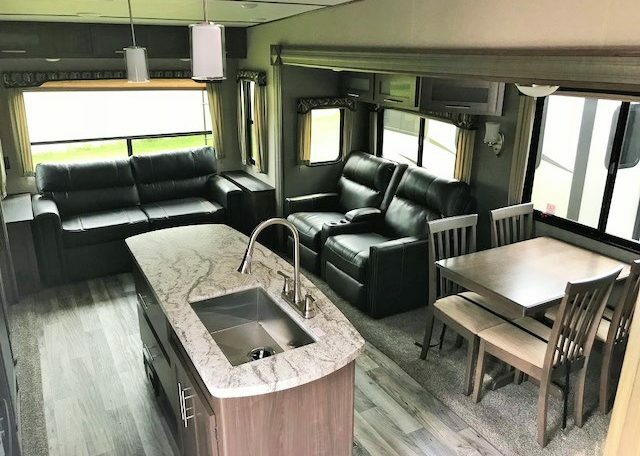 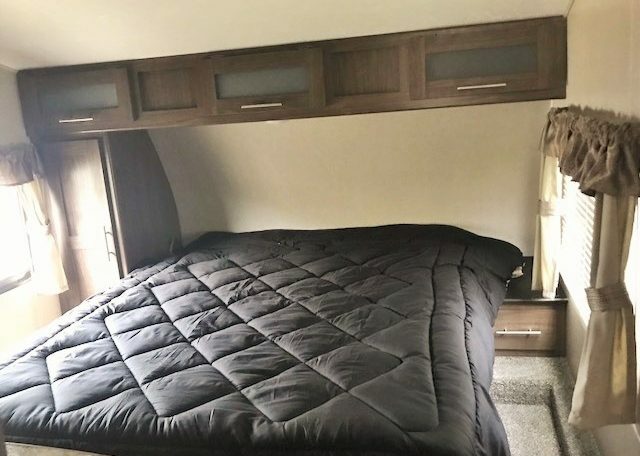 It has a large kitchen island, stadium seating that reclines, an upgraded free standing wooden table and chairs, central vacuum cleaner, 50″ TV, large shower, 15K A/C, 50 AMP Service, 2nd A/C, aluminum wheels, exterior ladder, 3 Year Limited Structural Warranty and so much more!! 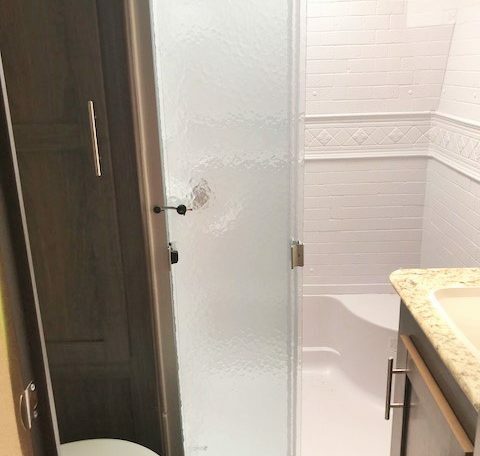 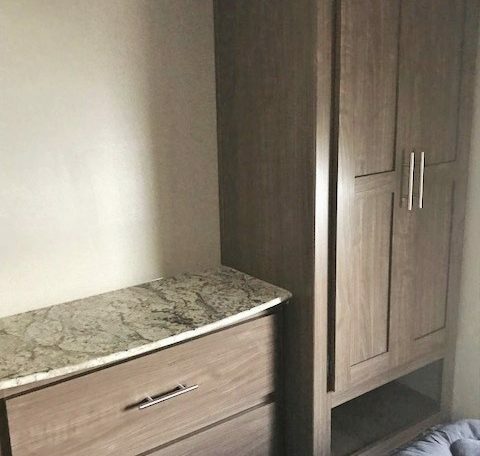 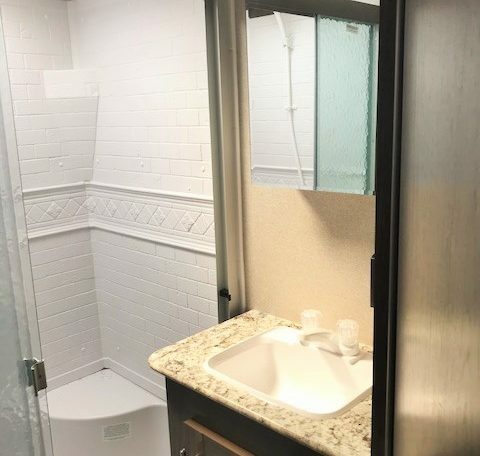 You do not want to miss out on this spectacular unit!